Wow…what a great photo of a rainbow!I like it! Super capture of the rainbow!! Boom & Gary of the Vermilon River, Canada. Fantastic picture! I read about Waikumete, very interesting. Beautiful photo. I have never seen such a bright rainbow. 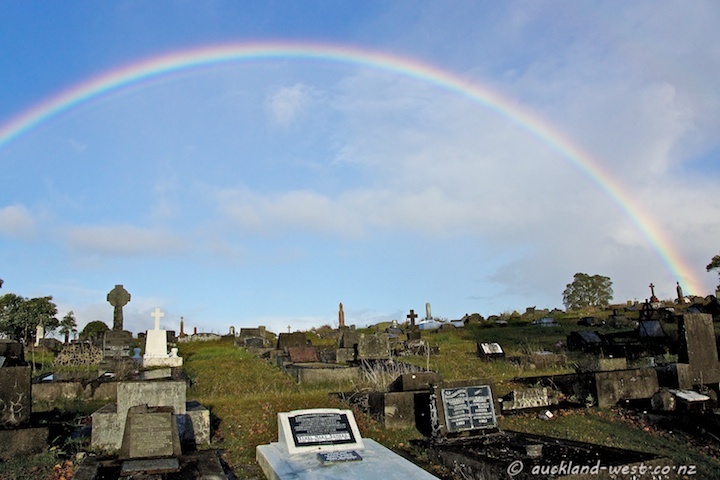 Perfect rainbow over the cemetery looks so dramatic. I haven’t seen any rainbow here for months.